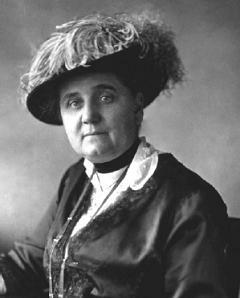 Last night, while waiting out service changes and delays on a very muggy Subway platform, my friend Linda and I got to talking about historical muckrackers, specifically, Jane Addams. It turns out Addams, in addition to Nobel-prize winning social justice work (including founding the Settlement House movement), was so concerned with the unsanitary conditions of trash piling up on the streets of Chicago’s 19th Ward that she applied to be a garbage collector. The mayor turned her down, but after pestering appointed her to the role of neighborhood garbage inspector overseeing trash collection. Details of this feminist trash story and many other anecdotes from Addams’ life can be found between the covers of Jane Addams: Champion of Democracy by Judith Bloom Fradin. Thanks for the book rec, Linda!